Sorry for the delay! 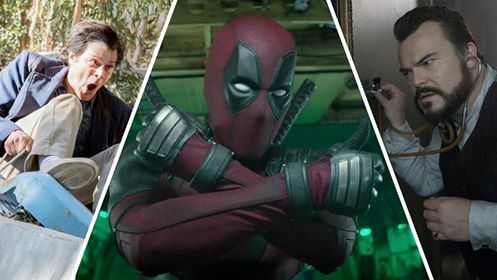 But we're back with a new episode featuring returning guests Chuck Young and Erin Kirk where we talk about the trailers for Deadpool 2 (X-FORCE BABY! ), Action Park (KNOXVILLE GETS HIT IN THE NUTS LOLZ), The House with a Clock in Its Walls (JACK BLACK THROWS A FIREBALL) and Tag (EVERYONE IS IT). Plus, we talk about open captioning in movie theaters and do really bad Arnold Schwarzenegger impressions. Listen!